It’s a known fact that our skin requires water to keep its healthy glow. That’s why there are many different types of skincare products on the market designed to hydrate and moisturize (there is a difference between the two, but we’ll get there in a bit). 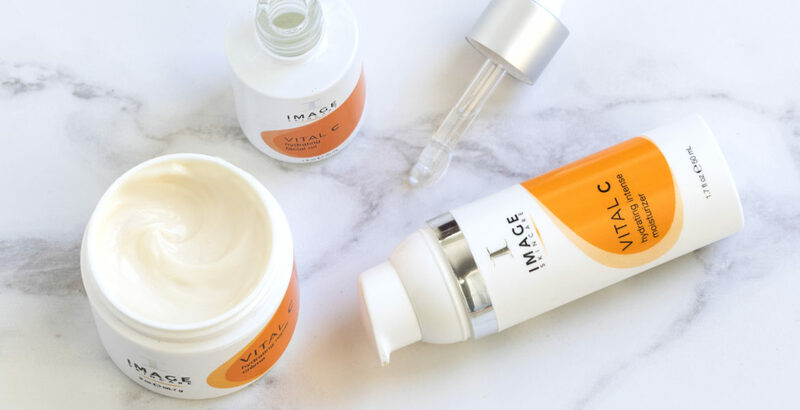 We know navigating between these different products can be a bit tricky, which is why it’s important to learn more about each product, its benefits, and how your unique skin type factors in. To this end, we’ve decided to highlight the differences between moisturizers, creams, and oils to help you pick out the right products for your regimen. Before we begin, let’s take a moment to explain the difference between hydration and moisturization. Although these words are often used interchangeably, they actually don’t mean the same thing. Hydration, is the amount of water in our skin. Rough skin is usually a telltale sign your skin is dehydrated and needs water. Throughout the day, water evaporates from the surface layers of our skin. There are compounds (like our natural lipids) which help lock moisture in. These are moisturizers. If your skin is dry or flaky, you need a moisturizer to help retain water. Moisturizer is a broad term that can apply to lotions or creams. Lotion is basically a combination of mostly water with some oil, actives and a wax. It’s easy to spread, quickly absorbed and feels very light on the skin. Due to its composition, the molecules in a lotion are larger than those in facial oils, and so, they can only reach the upper layers of the skin. The wax forms a protective barrier between our skin and the elements to help seal in water. Although the main benefit of a moisturizer is that it locks in moisture, the active ingredients that can be added to moisturizers are also a perk. For example, hyaluronic acid, an amazing hydrator, is found in many moisturizers. If you are concerned about dark spots, anti-aging, or acne concerns you’ll easily find a moisturizer with the actives to address the issue. How does skin type factor in? If you have dry skin, using a moisturizer can help lock in moisture. Moisturizers also work well for those with oily skin, as they are light and don’t contribute to excess oils. 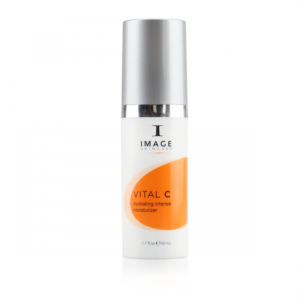 If your skin is really dry, try VITAL C Hydrating Intense Moisturizer. We formulated this moisturizer with shea butter (which doesn’t clog pores, making this ideal for those with sensitive skin) to help lock in moisture. Just use in the morning and evenings after cleansing. Technically a moisturizer, creams are also a blend of oil, water, waxes and beneficial ingredients. However, because creams are usually about a fifty-fifty blend of oil and water, they are thicker than a moisturizing lotion (and more powerful). Due to being a more powerful moisturizer, you can use a cream once a day instead of twice a day like you would a lotion. As a matter of fact, it’s recommended to use a cream during the colder months if you have very dry skin. Like a moisturizing lotion, it is still easy to spread over large areas and feels lightweight. Hyaluronic acid is also a popular addition to most creams — and rightly so as it holds up to a thousand times its weight in water, earning it the distinction as the gold standard for hydrating. Creams can therefore both hydrate and moisturize, which is something to think about as the cold weather settles in, especially if you have dry or normal skin. 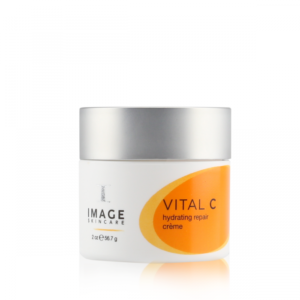 VITAL C hydrating repair creme is rich and soothing, with ceramides to prevent the evaporation of water. Just apply to cleansed skin every evening. Facial oils are usually blend of a few different oils which help hydrate skin and don’t contain any water. Don’t confuse these products with serums or elixirs, which contain a small percentage of water. Oils are definitely a must for aging skin, as the extra hydration helps keep a youthful appearance. If you have oily skin (or acne), you might be wary of using an oil but you shouldn’t be. Sometimes, our skin produces excess sebum precisely because it is trying to lock in moisture, so an infusion of hydration can help regulate sebum. For those with acne, try to avoid comedogenic oils like coconut and you should be fine. 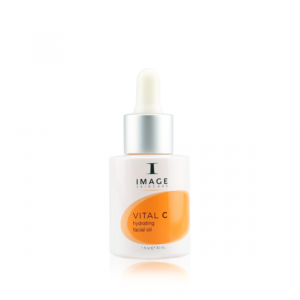 Our VITAL C Hydrating Facial Oil is great for those with dry and sensitive skin. Just apply to cleansed skin in the morning and evening.